WCTI employees were forced to evacuate the station overnight. 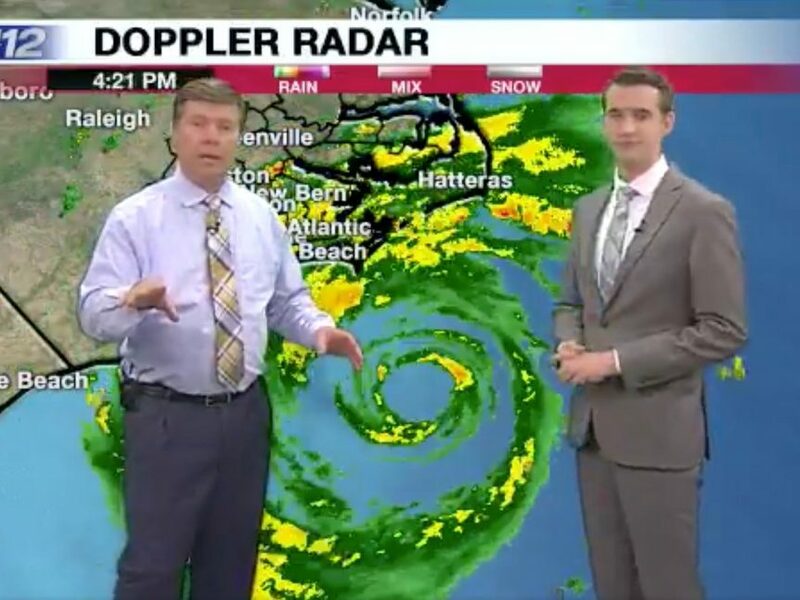 Hurricane Florence forced water to rise around the Sinclair-owned station in New Bern, N.C. As employees got out, the station had to rely on its sister station WPDE in Myrtle Beach, S.C., to help with coverage. Our first priority is always the safety and well-being of our staff and we are happy to report that all employees from the WCTI station are safe following a sudden evacuation. Our commitment to delivering critical information to our viewers can, at times, put us in harm’s way, particularly with major weather-related events. As such, we were continuously in contact with our WCTI team throughout the week as we monitored the situation and planned for contingencies. When the conditions in the area intensified suddenly, we made the call to have our news staff evacuate the area and team up with our sister station WPDE in Myrtle Beach to continue covering the storm and providing our viewers with vital, potentially life-saving, information. Video of chief meteorologist Donnie Cox signing off mid-broadcast during the evacuation has surfaced on Twitter. “We’re going to take you to coverage from our sister station in Myrtle Beach,” he said before leaving the set. WCTI has been posting updates on social media. It’s unclear where all the employees are stationed now.